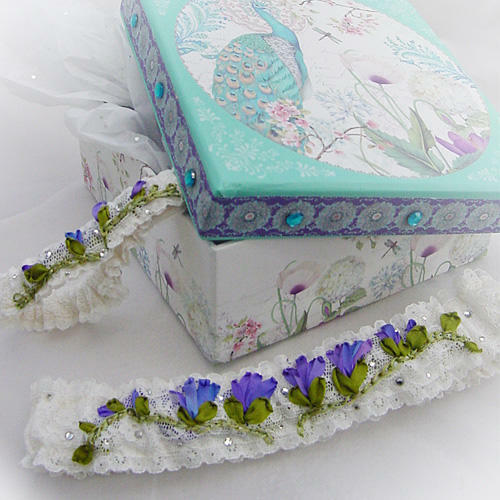 I'm loving this gorgeous Nottingham lace that I had made and want to use it on everything! 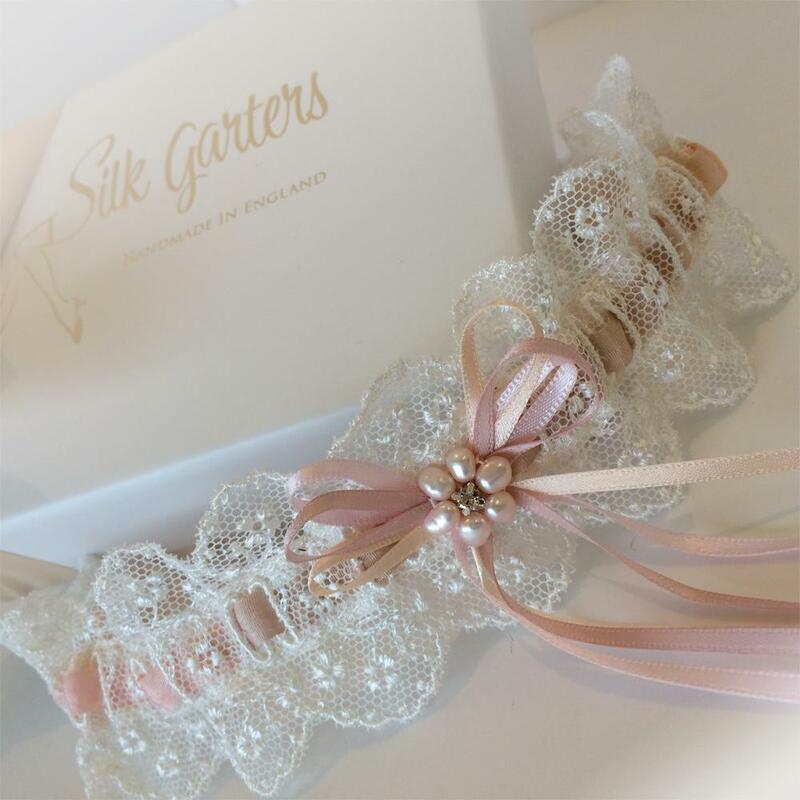 This is the Léonie wedding garter, Nottingham lace slotted with a silk ribbon in varying shades of taupe, peach and pink, giving a lovely vintage look. 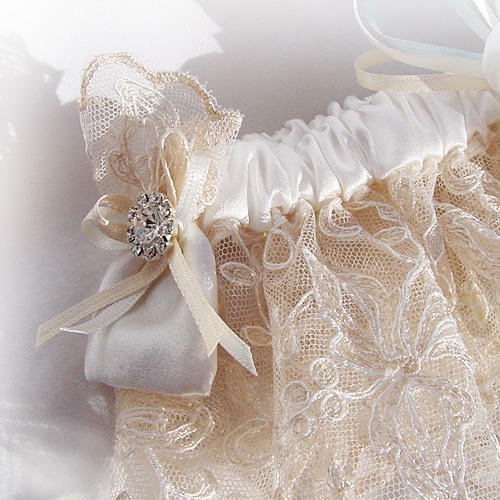 It can be slightly ruffled, but it's designed to be flatter on the leg, sliding the gathers to the back and showing off the slotted ribbon more. 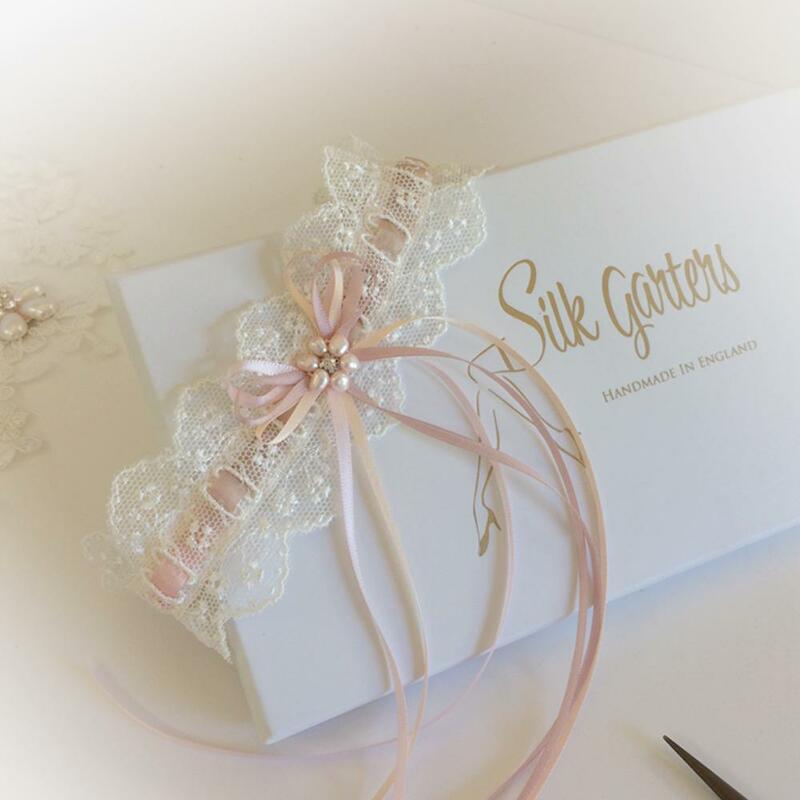 Lovely trailing bows in matching tones and something else I'm obsessed with at the moment, freshwater pearls :-) embroidered into a small flower with a crystal centre. 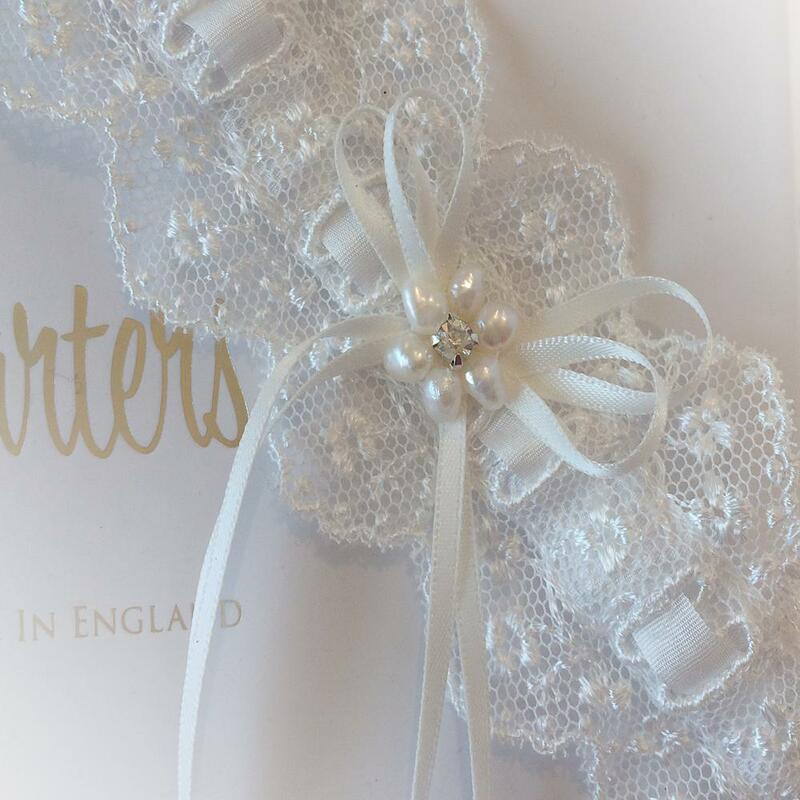 I love their irregular shape, showing they are real pearls and not just beads, but maybe that's just me!